Robert Peters loves the outdoors and studying nature in all its glory. 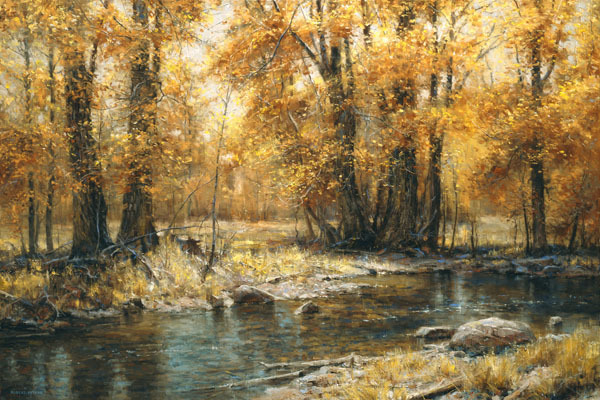 This subtle palette of fall colors defines a serene landscape for the viewer to enjoy. With the bright colors of summer having faded into the many shades of gold, "Autumn's Veil" has been cast across this beautiful forest.